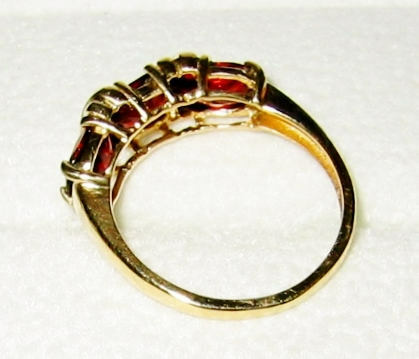 14K Solid Yellow Gold, Ladies Beautiful Garnet Ring....Size 7.5... Sweet ! 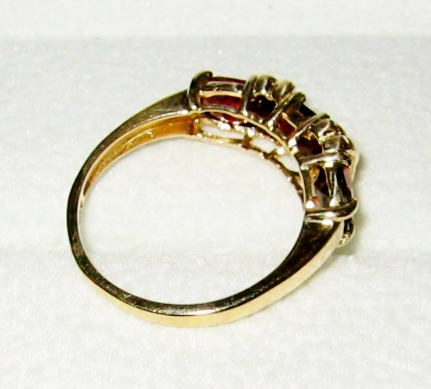 Here is a lovely and stylish, ladies 14K Solid Yellow Gold Garnet Dress Ring...3 big and beautiful Garnets set in a row of three. 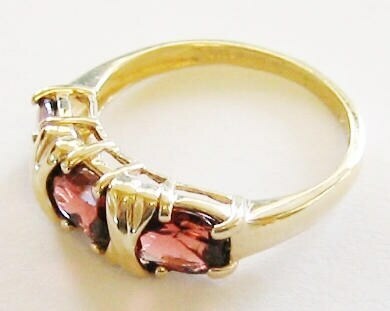 The ring is just amazing and would make a wonderful gift. 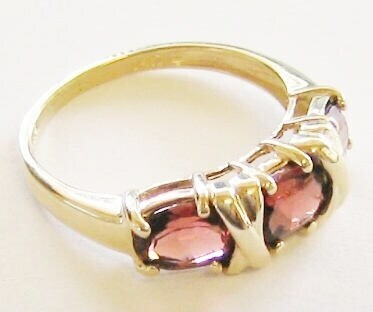 Its a size 7.5 and is in xlnt preserved condition. 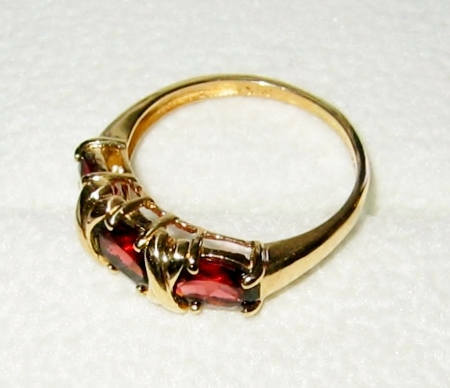 Weighs 3.0 grams of 14k Solid Gold.